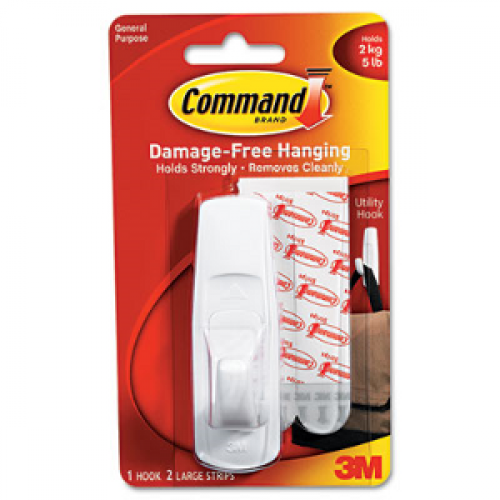 Ideal for coats, bags etc - hang anything that weighs up to 2Kg. Includes 1 pack with 1 reusable hook & 2 large adhesive strips. High performace adhesive - holds on strongly. Easy to put up - no need for nails or screws. Easy to remove - innovative stretch release technology leaves no surface damage. Each hook holds up to 2kg (5lbs).